Premarital and post-marital agreements in Texas have a complex history immersed in the community property presumption, the state constitution, statutes and case law. Originally, such agreements were found to be unenforceable. But with amendments to the Texas Constitution, evolving statutes, recent case law, and improved draftsmanship, such agreements are now enforceable under contract law. For many Boomer and Senior couples, living together is a precursor to marriage; for others because of family issues or commitments, there is no intent to ever marry. The simple fact is, domestic partnership agreements address a wide variety of circumstances, many involving established adults who want to be together but because of prior financial and family commitments prefer to have an applicable contractual agreement for their legal needs. Many couples choose to live together so they do not lose certain benefits under current rules of social security, military and insurance disability programs, or to stop those benefits from being taken away from their children. 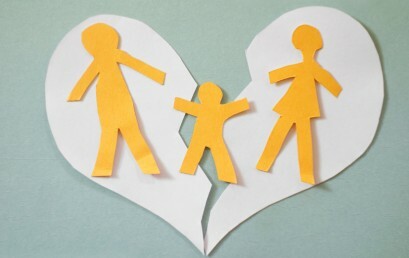 In other cases, couples who are divorced, and who may have children, may want to protect certain assets. In situations such as trust funds or inherited funds, beneficiaries simply do not want to place family money at risk. Other couples choose to shelter their own resources from the real or perceived obligations of their partner. The marital agreement is considered to be a contract under Texas law. The premarital agreement must be in writing and signed by both parties. No actual consideration is required; however, to conform to contractual law, it may be wise to provide benefits for the non-monied party to avoid a later finding of unconscionably, particularly if the financial or physical condition of the non-monied party under the agreement is poor. 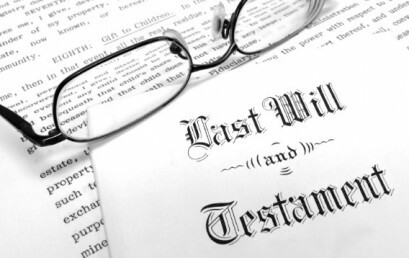 In post-marital agreements, it has been noted that a fiduciary duty exists that is not present in pre-marital agreements between spouses or prospective spouses. Case law states that a confidential relationship between husband and wife imposes the same duties of good faith and fair dealing on spouses as required of partners and other fiduciaries. However, adverse parties who have retained independent counsel may not owe fiduciary duties to one another. Texas Legislature enacted Section 4.105 with the understanding that married spouses owing fiduciary duties to one another would negotiate and execute post-marital agreements. Notwithstanding these duties, the legislature manifested the strong policy preference that voluntarily made post-marital agreements are enforceable. Beside a Cohabitation and Domestic Partnership Agreement, what other documents should you supplement for a more complete legal coverage? Cohabitation, domestic partnership, premarital and post-marital agreements may be as creative as a party determines necessary. However, care must be given to see that such agreements protect the party, keep with public policy, and adhere to current Texas family law and applicable contractual law. The 2015 Texas Legislature was active on family law bills and changes to the Texas Family Code! These many changes to various provisions of the family code could legally affect you and your family. Senate Bill 206 amends the provisions of the Education Code, Family Code, Government Code, and Human Resources Code relating to the functions and administration of the Department of Family and Protective Services (DFPS). The bill revises and streamlines agency procedures involved in adoption cases and child protective services cases by changing various record keeping, notification, and casework documentation requirements and provisions governing the investigation of a report of abuse, neglect, or exploitation of a child and by condensing and updating provisions governing procedures in a child protection suit, including adversary and permanency hearings, and the performance of a child placement review for a child under DFPS care. The bill establishes annual reporting requirements for DFPS regarding key performance measures and data elements for child protection and sets out notification requirements relating to significant events for a child in DFPS conservatorship involving the child’s placement, medical condition, prescribed drugs, and school performance; revises provisions governing foster care, including requirements that foster children be provided access to certain personal information and documents; and sets out requirements for implementing foster care redesign. The bill consolidates and restructures provisions regarding prevention and early intervention services, including the child abuse and neglect primary prevention program, and requires the development and implementation of a strategic plan for those services within DFPS. The bill revises provisions relating to public school admission and attendance of, and eligibility for an exemption from tuition and fees for, students under DFPS conservatorship. The bill broadens the authority of DFPS to obtain criminal history record information regarding certain persons; authorizes the executive commissioner to adopt rules regarding the purpose, structure, and use of advisory committees by DFPS; and requires the development and implementation of an annual business plan for the child protective services program to prioritize the department’s activities and resources to improve the program. The bill provides for an enforcement policy for the regulation of certain child-care facilities, homes, and agencies and revises provisions governing administrative remedies for those regulated entities. Mediation is a process in which the parties, under the guidance of a Mediator, agree upon a legally binding settlement the disputes in issue without a trial. Meditation can take many forms and the process may produce creative solutions without the direct rulings of the court. Courts usually encourage the opposing lawyers to first mediate a dispute and if no progress is made then continue the normal judicial process. The Mediator that helps bring both sides to an agreement usually is a lawyer, ex-judge, or other specialist who has experience or expert training in the specific areas related to the dispute. A Mediator fees may range anywhere from $160-$500 dollars an hour depending on the case and the complexity of the issues in dispute. Mediators attempt to work with each side to find a reasonable middle ground to which a fair agreement can be structured. An experienced lawyer is a valuable tool to advance favorable terms of any agreement during a mediation. During a mediation a Mediator will likely place the parties into separate “Caucus” areas, splitting the parties into different rooms to negotiate individually with each party to understand the positions and interests. Once the Mediator has talked to each party he will attempt to discover a common grounds that will fairly or smoothly serve both parties’ interests. If an agreement is reached that neither side is overly happy about, it is often likely that a reasonable compromise has been reached. The important point of a mediation is to express your concerns and attempt to reach a compromise that is mutually acceptable, smart and fair to both sides. Many courts support this type of dispute resolution because it frees up the courts dockets and allow the parties to consider compromise first without involving the courts. Mediation maybe a cost saver, as the dollars you spend on an attorney for trial can be reduced significantly if a compromise is reached. Make sure you have an attorney who is experienced in the Mediation process and knows how to craft a smart, fair deal which will result in significant cost savings. Now that the Texas Legislature has ended, we will review some of the bills passed that will affect our Family Law Cases. S.B. 814 was introduced to further the use of such waivers to apply to other common family law matters. The bill passed and will take effect on September 1, 2015. S.B. 817: Issuance of a protective order and appointment of a managing conservator in certain family law proceedings. S.B. 817 proposes that the state change the language on applications for protective orders (restraining orders, etc.) by switching the word “victim” with the phrase “applicant for a protective order.” Specifically, this change is meant to help those people who are applying for the protective order on behalf of the actual victim of the abuse or violence. Some judges are currently reluctant to sign orders which list the applicant as a “victim” because doing so indirectly endorses the allegations of abuse as being true without a trial. With the label change, it removes that concern and will enable judges to issue more orders to protect those in need. The bill passed virtually unopposed, and will take effect on September 1, 2015. S.B. 314: Appointment of a non-parent as managing conservator of a child. This law addresses a growing number of complaints by relatives who assume custody of children removed from their parents’ homes by CPS (Child Protective Services). This type of custody is called “permanent managing conservatorship,” or PMC. It is not adoption and does not carry the same legal meaning, but many relatives claim that these differences are not clarified by CPS. As a result, the bill requires a court awarding custody to specifically explain 3 common misunderstandings to the relatives or non-parents assuming PMC. The bill states that if the non-parent assuming PMC does not appear in court, the court must then have evidence that they were advised of this information. The bill passed without opposition, and will take effect on September 1, 2015.